Sky Map at Megaliths.Net 3000 B.C. Map of the Heavens ca. 3000 B.C. The sky map above (based on a viewer located at 30 degrees North latitude) shows the stars of the heavens, including the major stellar constellations, the celestial equator, the ecliptic (this is the path of the Sun), the constellations on that path (the modern Zodiac), and the line of the equinoxes in 3000 BC at the position this line occupied 5000 years ago. For comparison, the line of the equinoxes for 2002 AD is also drawn. This line has moved due to precession, explained further below. 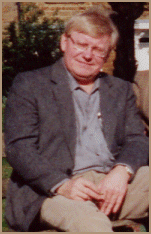 Much of the material presented on Megaliths.net can be understood properly only if the user has access to a good historical sky map (planisphere) or to an astronomy software program which is capable of calculating the positions of the Moon, Sun, Stars and Planets backwards into prehistoric eras. Since not everyone has such sources at hand, the sky map pictured above provides essential basic information, until a good historical planisphere or a good astronomy software program is available. The sky map used here is based on Milton D. Heifetz's Historical Planisphere with Precession of the Equinoxes (created with consultation from Owen Gingrich of Harvard) which is available from Learning Technologies, Inc., 40 Cameron Avenue, Somerville, MA, 02144 USA, internet at http://www.starlab.com, e-mail at starlab@starlab.com, phone at 800-537-8703, 617-628-1459, and fax 617-628-8606. 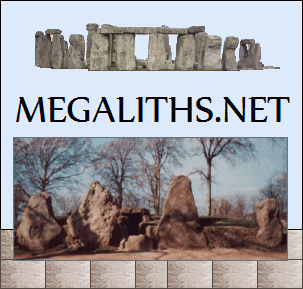 Megaliths.net is not affiliated with this company in any way. This is a sincere recommendation. There are several good astronomy software programs available. You do not need a telescope for basic astronomy. A PC is enough. The best software program for historical astronomy research available at an affordable price is Starry Night Pro from Space.com created by people affiliated with NASA. Starry Night Pro (but not the less expensive Starry Night Backyard) calculates astronomy as far back as 99,999 BC. Starry Night Pro 3.0 calculations of historical solar eclipses (this is dependent on the value given to Delta-T, the change in the rate of spin of the Earth over millennia) conform to results derived from the megaliths. A very popular astronomy software program is Red Shift 4 from Cinegram Media. Use of this software program for historical purposes is limited by the fact that its calculations go back only to 4700 BC. Besides, as far as we can determine, its Delta-T value is clearly wrong and thus the program is in our opinion useless for history of astronomy work. The correspondingly colored large green circle around that point is the ECLIPTIC - we could also call this the "path of the Sun". It is also the path of the Planets and the Moon, although these circle the Sun in orbits which can diverge somewhat south and north from the ecliptic. Only when the path of the Moon crosses the ecliptic can there be solar or lunar eclipses. The ECLIPTIC is fixed and DOES NOT CHANGE. Modern mainstream historians of astronomy think that the ancients were not familiar with precession - but this view is grossly in error. 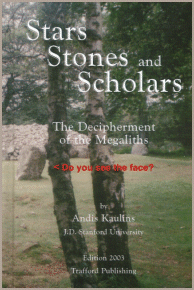 On the pages of Megaliths.net we will continue to produce evidence that the ancients have been quite familiar with this phenomenon for thousands and thousands of years and that the ancient Norse belief that "the sky was falling" is based on this knowledge. Indeed, the need to account for precession (i.e. 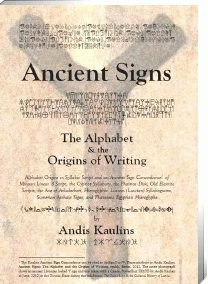 to correctly predict the seasons and establish a workable calendar) was clearly one major factor which led to the serious study of astronomy by ancient man and to the building of the megalithic sites which we study today. The Milky Way is prominently marked on the sky map. Ancient man paid far more attention to the Milky Way than we do today in our artificially lighted planet, whose man-made lights and pollution are increasingly blotting out our heavens. The ancients also paid great attention to the color of individual stars, also using megaliths of a comparable color to mark a given star. The following links can be used to navigate this website from this page. This page was last updated on January 11, 2013.